Guided Educational Tours of the gardens are available from 10 a.m. to 3 p.m. on Tuesdays and Thursdays, with prior reservations. 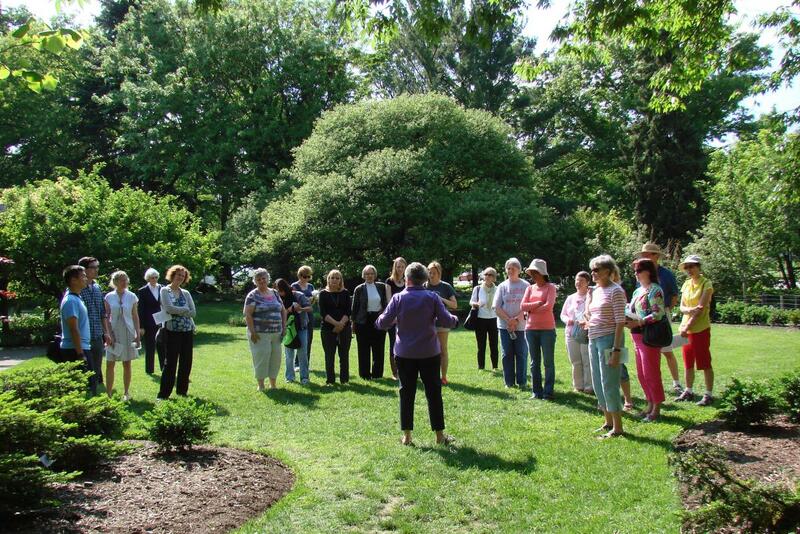 Chadwick Arboretum's learning gardens are designed to teach a wide variety of horticultural topics for any group. Please schedule at least 4 weeks in advance so that we may prepare better for your tour. Tours of our Learning Gardens and Lane Avenue Gardens are available from June 1 through October 1 while Green Roof tours are available all year. If you would like to schedule a tour, click here. We will review your request and, if the time you requested is available, we will confirm your request. Pre-arranged tours meet in front of Howlett Hall, 2001 Fyffe Road, Columbus, OH 43210. Tours are given rain or shine, unless storm conditions (lightning) pose a safety hazard. Typically our tours last 60 minutes. Our tours are designed with adults and undergraduates in mind. We encourage you to bring children into our gardens to view and explore the plants and wildlife. Dogs are welcome to walk with you at Chadwick Arboretum, but must be on a leash. Tour buses can drop off participants at 2001 Fyffe Road, Columbus, OH 43210 at the turnaround in front of Howlett Hall. Parking for the tour buses is available in the parking lot at 2121 Fyffe Road – between Woody Hayes Drive and Lane Avenue, just west of Fyffe Road.